Advanced Web Offset uses PDF workflow for its consistent quality and ease of use. However, if a quality PDF is not produced, the final product will suffer. 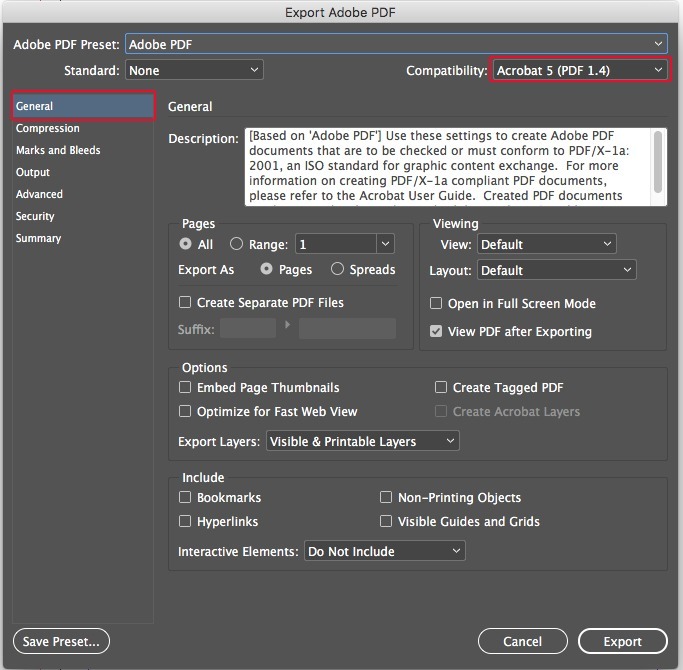 Here are the steps needed to create a high quality PDF from Adobe InDesign. 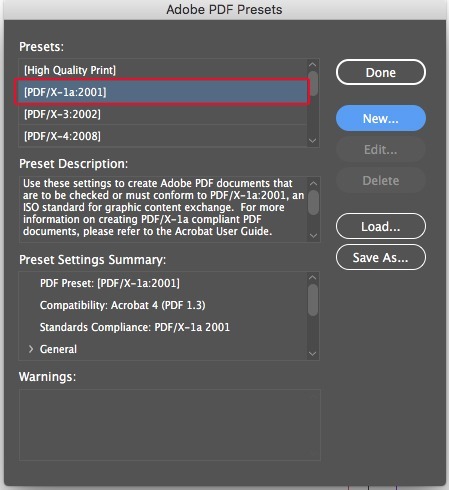 Adobe InDesign allows you to define your present for exporting to a PDF, and save them under a unique name, so you can apply these presents to all the PDF’s you will be sending to us. 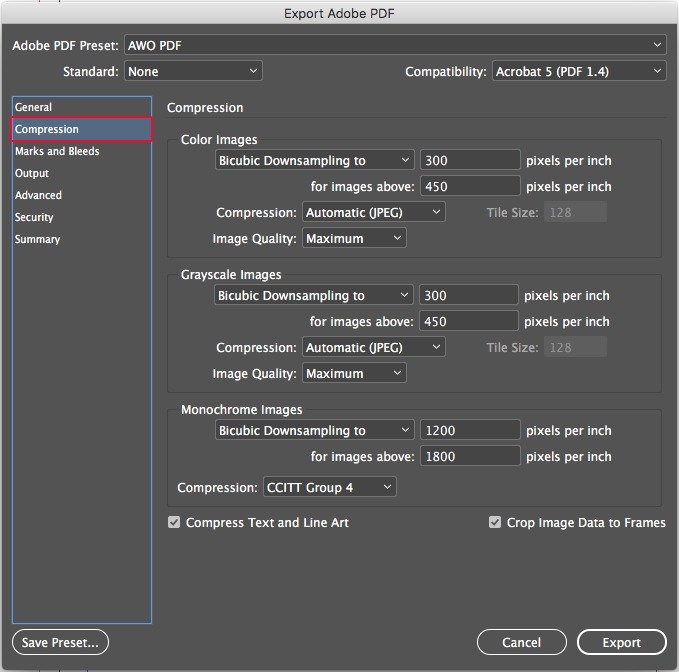 Once you set this up and save, it will aways be there for you to chose when you go to export your project to a PDF. “Marks & Bleeds” – .25″ bleed on all sides. Click the chain link to fill all 4 sides with .25″ bleed. 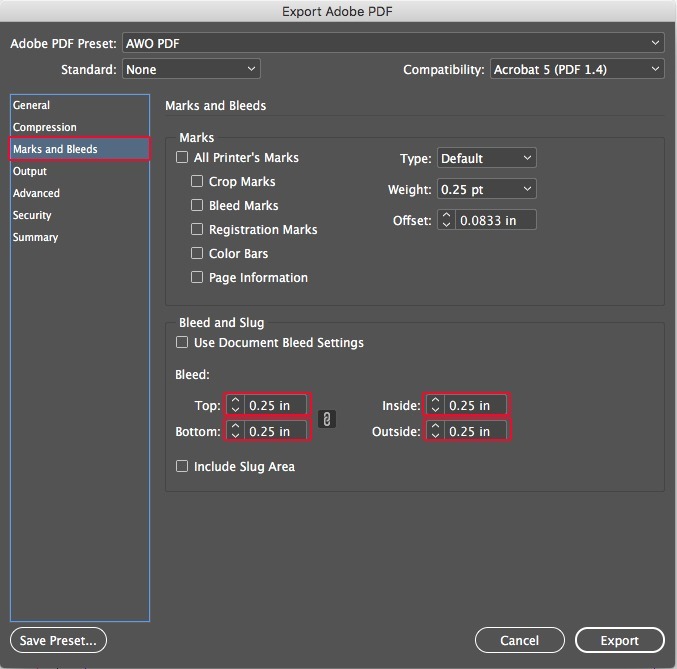 Skip this step if your document does not have any bleeds. 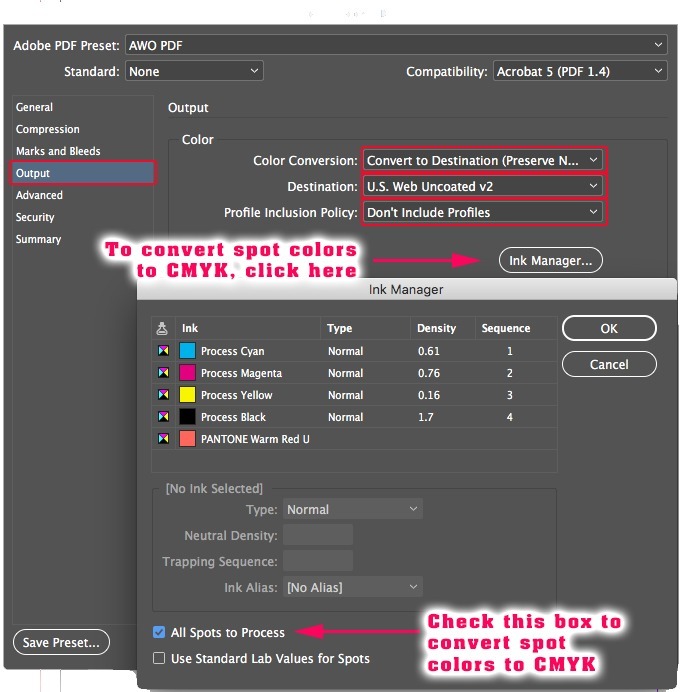 If the “Ink Manager” is highlighted, click on it and check the “All Spots to Process” box. 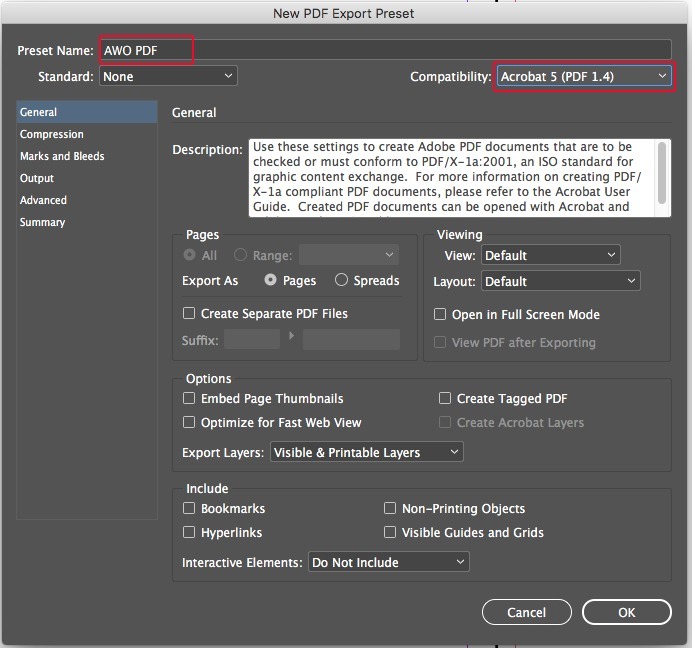 When exporting your final PDF, make sure your select the “AWO PDF” preset, in the Adobe PDF Preset cell.